Generally, every employee hired in Oklahoma or who is injured in Oklahoma is covered by the workers’ compensation laws of the state. 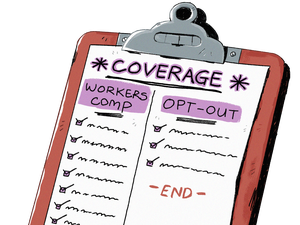 Independent contractors are not employees and are therefore not covered. The issue of whether a person or entity is an employee or an independent contractor is a complicated one. Nevertheless, the Workers’ Compensation Commission provides CC-Form-36A: Affidavit of Exempt Status under the Administrative Workers’ Compensation Act and CC-Form-36C: Cancellation of Affidavit of Exempt Status for use by contractors. The Affidavit of Exempt Status is a two-page document, and the independent contractor must complete and sign both pages. The second page includes an 11-part checklist to aid in determining whether the person is or is not a bona fide independent contractor. The form states “[i]f the greater weight of the statements do not describe your business, you should not sign the attached Affidavit …”. In other words, there is no single factor which controls. The Affidavit of Exempt Status which the proposed independent contractor must complete includes questions such as whether the company exercises very little control over his work; whether he is engaged in business for others; whether the company does not supply the things needed to perform his job; whether the work he does is not the regular business of the company; and whether he has the right to terminate the relationship without any liability. Just because a person has incorporated or is an LLC does not automatically transform that person into an independent contractor. That is but one factor. A written contract with the customer/owner will not alone transform the worker into an independent contractor. Independent contractors and companies alike must be aware of this area of the law in order to avoid the myriad of problems which can arise from misclassifying a worker. With the new tax laws benefitting independent contractors with a 20% deduction from their income, now is a good time for companies to re-assess any persons/entities which may be classified as independent contractors. On April 26, 2018, Oklahoma Governor Mary Fallon signed into law SB 650, making felony offenders eligible for expungement (sealing) for the first time without requiring that they first be pardoned. Effective November 1, 2018, a person may apply to the court for expungement of a single nonviolent felony conviction five years after completion of their sentence, if the person has not been convicted of any other felony or separate misdemeanor in the past seven years, and if no felony or misdemeanor charges are pending. Okla. Stat. Ann. § 18(A)(12). This 2018 change to the law reduces the waiting period from ten years to five; deletes a requirement that the person have no prior felonies, or any separate misdemeanor in the past fifteen years; and omits a requirement that the person first be pardoned. Oklahoma’s additional provisions for expungement of misdemeanor convictions, non-conviction records, and pardoned felonies may be further explained by any Oklahoma attorney that includes expungements as a part of their practice. In Oklahoma you can easily change your “regular” LLC into a Series LLC. 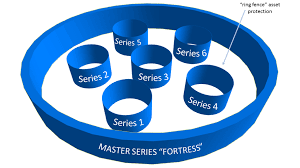 Are you in a Series LLC state? In Oklahoma the answer is: Yes! So you can file an amendment to your Articles of LLC to legally convert your regular LLC into a Series LLC. If you want to start a whole new Series LLC, you can do that too. If your LLC is from a non-Series LLC state, and if it is really important to you to keep your existing LLC’s history, Tax ID number, etc., you can move your LLC’s corporate home to Oklahoma and simultaneously convert it into a Series LLC. That would allow you to keep your existing history. You would then dissolve your existing LLC in your home state, to cancel it off the books. And finally, you’d have to reintroduce your newly converted Series LLC, this time as a foreign entity, back into your home state. Are you in a state that isn’t Series LLC friendly? All states permit LLCs from out-of-state to cross-register in, when required. The same goes for Series LLCs (you cross-register the parent only; there is no way to cross-register Series LLC Cells at this time). Beware of California which looks at each Cell in the Series LLC as a distinct entity for tax purposes. As such, every Cell would register with the Franchise Tax Board and pay the state’s minimum $800/year franchise tax fee! There are many variables when you’re structuring a business. Unless you talk to someone who’s got some knowledge and experience on the legal side, it’s hard to know what you don’t know. And that can leave you vulnerable. Posted in Legislation & Case Notes, Real Estate Law | Comments Off on In Oklahoma you can easily change your “regular” LLC into a Series LLC. 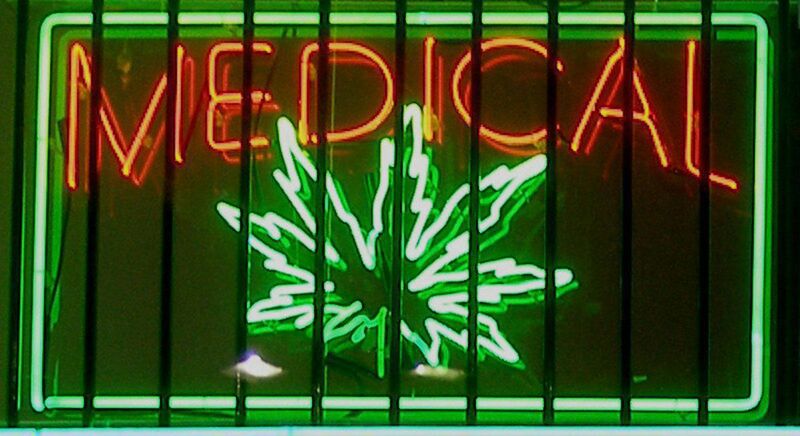 Street Law Firm: Oklahoma is open for medical marijuana businesses. Now what? On July 26, application information and requirements for licenses will be available at omma.ok.gov. Applicants must be at least 25 years old, reside in Oklahoma, and must be registered to conduct business in the state as well as meet other licensing requirements. Entities can have ownership consisting of no more than 25% ownership by non-Oklahoma residents. The license application fee for growers, processors, and dispensaries will be $2,500. Read through the Regulations and determine what business type you’d like to have. Setup your Cannabis Company Formation since you need to be a registered business for licensing approval. You’ll also need a Cannabis business plan for licensing. OSDH will continue to provide the most up to date information as the program is fully implemented. 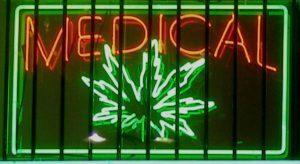 Posted in Firm News, Legislation & Case Notes | Comments Off on Street Law Firm: Oklahoma is open for medical marijuana businesses. Now what? The IRS released Opportunity Zone FAQs on April 24, 2018 explaining that an eligible entity will be able to self-certify to become a Qualified Opportunity Fund (QOF) by filing a form to be released this summer with its timely filed (including extensions) federal income tax return for the taxable year. As part of the extensive Tax Cuts and Jobs Act of 2017 (TCJA), Congress created a little known but beneficial tax program to incentivize investments into “qualified low-income communities” aka Qualified Opportunity Zones designated by the governors of each state. The investment is made through a QOF which is generally a privately managed investment vehicle organized as a corporation, partnership or limited liability company for the sole purpose (at least 90 percent of its assets) of investing directly into a certified qualified opportunity zone property. The IRS has issued a Revenue Procedure, but more rules will follow this summer. Similar, but in many ways more advantageous, to Section 1031 tax deferred or like-kind exchanges, taxpayers who roll over (re-invest unrealized capital gains) sales proceeds within 180 days of the sale or exchange of non-zone assets (including stock, partnership interests, real estate and property used for personal purposes) before December 31, 2026, will be able to take advantage of the beneficial tax treatment this provision provides. The tax incentives available to investors in QOFs are significant. First, investors can defer capital gains taxes until the earlier of the date on which the QOF investment is sold or exchanged, or December 31, 2026. Second, capital gains taxes are reduced when the investment is maintained for at least 5 years, and additional tax cuts are available for investments held for periods of 7 and 10 years. Third, if the investor holds the investment in the QOF for at least 10 years, the investor is eligible for an increase in basis equal to the fair market value of the investment on the date that the investment is sold or exchanged. Additional, more complex incentives may also be available. Here is the link to a map of all of the OZs that have been designated, including the 117 in Oklahoma chosen by our Governor. The investment must be in one of these zones via a QOF. Criteria the Governor used in selecting the OZs included community interest and support for additional investment, the potential of at least one “ready to go” or otherwise identifiable project, and that the identified project addressed one of the following target uses: industrial/business development, housing, or agriculture. Now we know that the IRS will establish a simplified QOF certification process that real estate investors should find attractive. Self-certification should result in a fast and less expensive process for investors and sponsors of QOFs. Just how simple and inexpensive this process will be, of course, depends on what is required in the actual tax form released by the IRS. 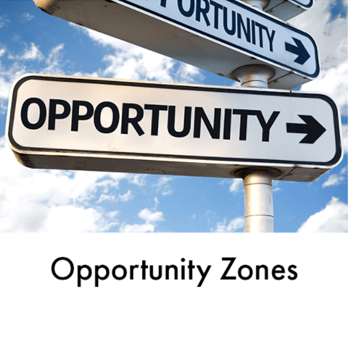 Huddleston Law Offices will monitor guidance from the IRS on Opportunity Zone Funds and provide updates when guidance is released. Street Law School: My Neighbor’s New Video Camera Faces My House! Now What? You have just noticed that your neighbor’s front door camera directly faces your door and/or window. With the new motion sensitive video surveillance systems and online cloud storage of all video, you are recorded every time you open the door. Maybe this makes you uncomfortable, and you feel a loss of privacy. But is this illegal? It is estimated that the average American is caught on camera more than 75 times each day. We are all recorded more than we realize, and while sometimes it makes us feel safer, other times it makes us uncomfortable, or worse, feel violated. For better or worse, being recorded is now a fact of life. Our society and legal system have been playing catchup with this growing trend to regulate the use of cameras and punish people who abuse the technology. Unless your neighbor is misusing the video recorded, perhaps by posting it on social media sites, there is likely not much that can be done. Property owners have the right to place cameras in and around their home for security reasons. The cameras should either be easily noticeable, or there should be signs warning visitors that they are being recorded. The cameras should not be used to record neighbors or anyone where they have a reasonable expectation of privacy, such as inside their house, a hot tub, or any place where that person would expect that no one is looking at them without their permission or knowledge. Penalties for being a video “peeping tom” are severe. Oklahoma Statute §21-1171, commonly known as the “Peeping Tom” law, prohibits the use of video equipment in a clandestine manner to record others without consent in areas where they have a reasonable expectation of privacy. This law does not affect your right to a home surveillance system unless your cameras are recording any private area of your neighbor’s property (i.e. interior rooms, fenced backyard, etc.). Once you have a properly configured security camera system installed, you should be aware of your rights and responsibilities to operate the system. Oklahoma Statute §13.176.3 prohibits anyone from intercepting or disrupting your security camera signals, either to your internal storage device or to an external monitoring center. Another Oklahoma law, Oklahoma Statute §21-1993, prohibits others from tampering with or disabling your security cameras. This can include covering the camera lens, manipulating the signal, disconnecting the device, or destroying any part of the system. If someone does record you without your knowledge and permission when you are somewhere that should be private, the law will look at the intent with which you were recorded. 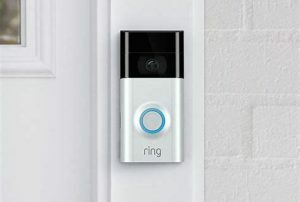 If your neighbor’s door camera was for security and positioned so that it just happened to see inside your home as you entered and exited (a time when you might not normally expect privacy), then it would likely be legal. But if your neighbor has set up cameras to be a high-tech Peeping Tom, he very well may be committing a crime. Posted in Legislation & Case Notes, Real Estate Law | Comments Off on Street Law School: My Neighbor’s New Video Camera Faces My House! Now What? Street Law School: I am buying property. Should I buy title insurance? If you are getting a home loan, you will always have to purchase a lender’s policy of title insurance. Even when you have a choice, I always recommend that everyone buying a home get an owner’s title insurance policy. For a low, one-time cost, you get an insurance policy that protects what is most likely your most significant investment. Mortgage lenders make getting a title insurance policy that protects them a requirement for giving you a loan for very important reasons. While it’s uncommon for someone’s homeownership to be attacked, if you are unlucky enough to have it happen, you will be thankful for the protection. Your seller or builder must have good title, but that may not actually be the case — and they may be long gone by the time a problem surfaces, leaving you with the title problem. Title insurance covers you for various threats that affect your ownership, including a forged deed that happened long ago; or a sale that happens without the seller clearing all the liens, and not being able to later clear all the liens. Even if everything is on the up and up, mistakes happen, and things get missed, so you don’t want to be the one who ends up paying for the error. Even without title insurance, it may be possible to sue the offending party, but it will be on your dime and at your risk. This is just not a smart chance to take when you can pass it on to a title insurance company. While it does pay to shop around for title insurance services, the cost of the actual insurance policy premium is almost always the same at all the title and closing companies in Oklahoma. However, other settlement closing costs can vary, and are often discounted in order to get your title insurance business. Most, but not all Oklahoma title insurance agents are attorneys, so you may want to check to see if an attorney owns the title insurance company you select. Posted in Real Estate Law | Comments Off on Street Law School: I am buying property. Should I buy title insurance? It may be tempting for a farming operation with fallow acreage to consider leasing to a tenant for above-market rents. However, when the offer is coming from a marijuana grower, the would-be landlord will have a number of additional legal issues to consider. It bears repeating that marijuana is still illegal as a Schedule I drug under the Federal Controlled Substances Act. Even though Oklahoma is likely to approve marijuana for medicinal use this Summer, the federal government doesn’t recognize such use as valid and prohibits the manufacture, sale, and distribution of marijuana. An owner who leases to a tenant for the purpose of manufacturing, distributing, or storing controlled substances, illegal under federal law, is punishable under the Controlled Substances Act by a fine and up to 20 years in prison. That might be the end of the story for most landlords. This is especially true now that the Trump Administration’s Justice Department has signaled that it may take a different path with respect to marijuana prosecutions. 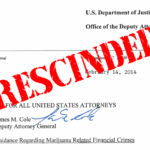 The U.S. Department of Justice could seek to take real property used in connection with marijuana-related crimes of tenants through civil asset forfeiture. For landlords who determine that the potential revenues are too great to pass up and their risks associated with federal prosecution or civil asset forfeiture are immaterial, there are still other concerns. A landlord may find that a conservative financial institution could refuse to accept deposits of funds related to a marijuana grow operation lease. Also, if the landlord has a loan from a financial institution, the landlord may find itself in breach of that loan without available replacement financing. Most loan agreements prohibit the borrower from violating the law, and if the loan was entered into more recently, there may be express prohibitions against use of the property with respect to state-licensed marijuana-related businesses. Thus, a financial institution could call a loan due from a landlord renting to a marijuana grow operation. If there is an opportunity for replacement financing, the loan amount may be reduced (if the financial institution excludes rents from the marijuana-growing tenant when calculating the value of the collateral or the revenues of the landlord). 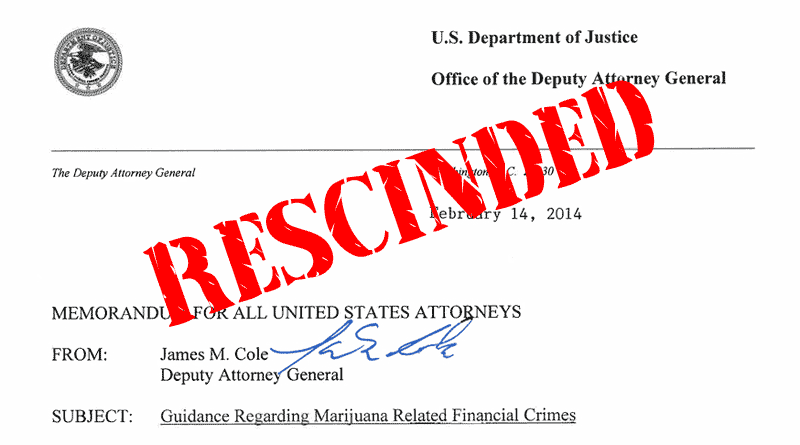 Oregon and Colorado federal bankruptcy courts have come to the conclusion that bankruptcy protections are not available to a landlord leasing to a marijuana business, even if the tenant’s marijuana business is operated in compliance with state law. 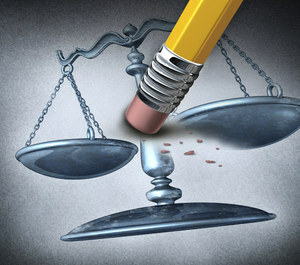 Federal bankruptcy courts in Oklahoma may come to the same conclusion. Some of this risk can be mitigated with proper planning, but there would always be some portion of the landlord’s business operation that would remain at risk. Aside from the issues concerning federal law, a landlord could find itself at risk of violating state law if its tenant is not in compliance with state and local regulations. 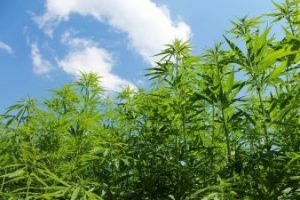 Unless and until the Controlled Substances Act is changed to permit the state-legalized marijuana activities, landlords should be wary of leasing to marijuana grow operations and should consider the other risks and potential obligations of having such a tenant. At a minimum, before you negotiate a lease, make sure you have a cannabis lawyer help you guard against potential pitfalls down the road. The cannabis industry is unlike any other industry, and there are several factors to consider before you lease.